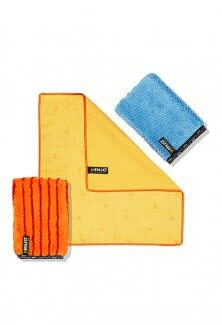 A must-have for every home (especially if you have pets) and great for keeping clothing lint-free as you travel. 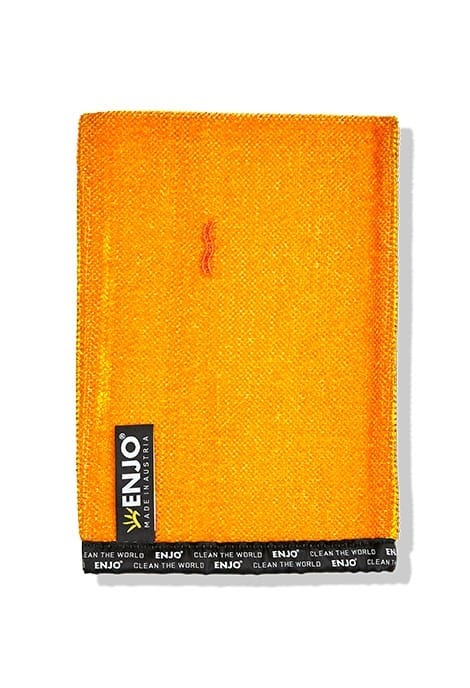 The ENJO Lint Glove is designed to lift dust, hair, fluff and lint off clothing with just one wipe. Not only does this remove lint & pet hair from clothes but I use it on my lounge & dinning chairs as well and it works perfectly on them too. I'm the owner of a dog that sheds a lot - and I mean, a lot. You give him a cuddle, you come away looking like you're wearing a mohair jumper. I've gone through rolls and rolls of lint roller refills over the years. I was searching for a plastic-free alternative and I'm so pleased to say this is it. It's easy to use and very effective at removing animal hair from clothing (as well as other lint obviously). I love it. I've had it one month and haven't had to resort to using the lint roller at all since getting it. Bloody brilliant. Simply smooth the ENJO Lint Glove over the required surface to lift away dust, fluff, hair and lint. 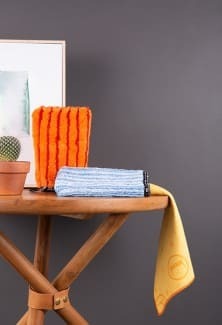 The Lint Glove Fibres work against the grain to collect lint and dust from your surfaces. No need to wash the Lint Glove before use, ensure you test on a small area before use on delicate fabrics such as wool or velvet.